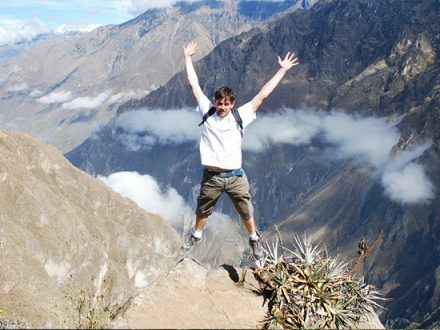 Arequipa is well-known as the white city. 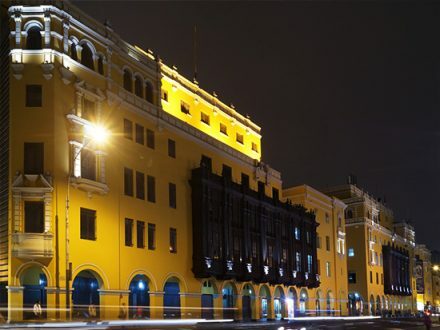 As all its buildings are built from the white volcanic stone in baroque style, its charm stands out even more. 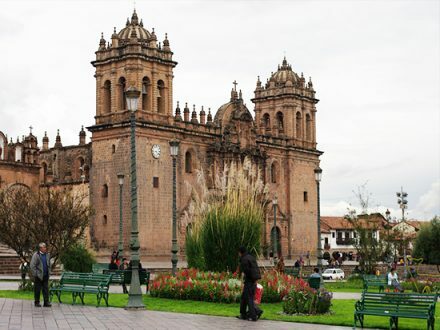 With its great Main Square, full of exotic plants and the beautiful arc-building around, it is an awesome place to relax. A great time also promises the visit of the “Monasterio de Santa Catalina” – the old monastery which is painted in beautiful colours and has a lot of history to tell. 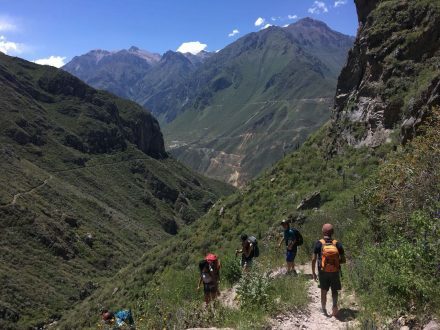 Close to Arequipa you find the 3 well-known volcanoes Ampato, Misti and Chachani – they build the skyline of the white city. 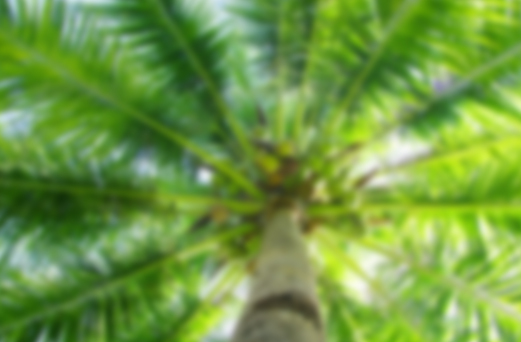 Amongst them three, the Misti is considered to be active. 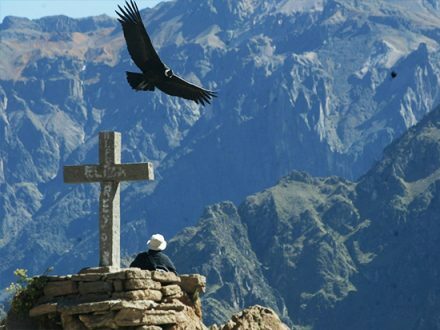 Close to Arequipa, there is the great Colca Canyon. 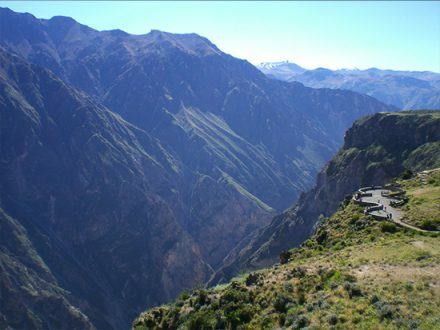 Even deeper than the Great Canyon in the U.S., it is 3270 meters high above the Colca River. 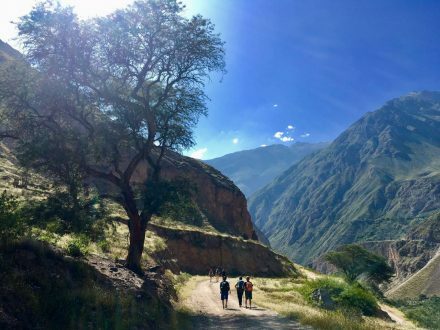 Driving through the beautiful landscape, especially Arequipa’s three volcanoes will always be part of your sight – as well as dozen of Alpacas, Llamas and Vicuñas. 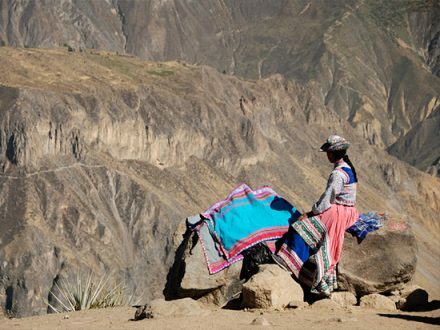 Driving through the National Reserve, you then automatically reach Chivay which is the main town of the Colca Canyon, close to the Condor Lookout Platforms. And this is definitely the highlight: Seeing the many Condors rise up in the warm thermals of the Canyon at each morning. Also many tourist spend one day more at the Canyon to take advantage of the beautiful warm thermal baths which are definitely a must-see!